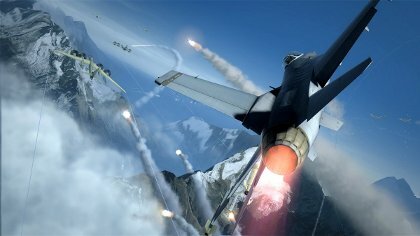 Can HAWX 2 give air combat some character? Why the ground beneath your plane may be the most important weapon in Ubisoft Romania’s arsenal. A little thought experiment, before we begin. Have a look at this picture, reader. 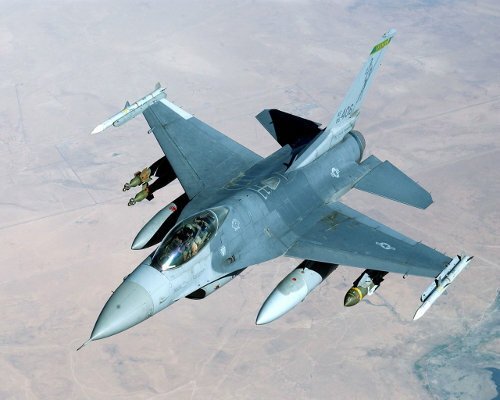 It’s an F-16 Fighting Falcon, one of the US military’s best-known dogfighters. Gasp at its enormously destructive loadout. Admire the elegant way the bubble cockpit fuses with the skin of the hull. Now – identify with it. You read us right. Relate to the thing. Empathise. If you’re struggling, don’t worry – that’s just an indication that you’re a normal, healthy, emotionally attuned human being, insofar as such a thing is possible within the acidic realm of online videogame enthusiasm. I’m guessing you rarely find yourself moved to tears, or laughter, or contempt, or any other state by the sight of a large metal machine. Unless, of course, it’s a RRODing Xbox 360. 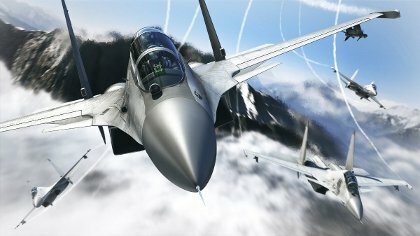 And that may be why you don’t play flight combat games all that often. Providing they’re more authentic than not, games about planes often struggle for character. There might be fellow human beings involved, but they’re tucked inside licensed aluminium triangles, wrapped in breathing equipment and scattered across miles of empty, uninteresting sky, their trials and tribulations distilled down to blips on a radar screen or snippets of radio chatter. All of which is bad news for Edward Douglas, Narrative Director on Tom Clancy’s HAWX 2, to whom we spoke at a preview gig on a small airfield (NB. INCOMING META- ALERT) outside London last month. But Douglas is a specialist in the sexing-up of high-power machinery – his previous work as a storyteller includes Need for Speed and the gadget-laden Mass Effect 2 – and claims to have found a few ways to squeeze a little personality out of Ubisoft’s streamlined but sterile Lightnings, Thunderbolts and Raptors. If that sounds a rather banal tactic, it impels a more involved relationship with the surly bonds of earth than is customary for the genre. In most of HAWX 2′s peers, the ground is either something to bomb seven shades of syrup out of or stay the hell away from. Here, by contrast, the satellite-mapped terrain beneath is an immersive crutch, no vaguely defined backdrop but a means of better evoking the weight and dimensions of your plane, lending credibility to the action above the clouds. ‘The other thing I tried to do in the game is make you feel like you’re a real pilot in the real world all the time,’ Douglas continues. ‘Your question hit the nail right on the head, about how do you make it feel like you’re not just this metal box flying around. So, whenever I can I try to make you feel like you’re a real person in the real world. The increased sense of identity and investment is certainly noticeable during take off, as you watch the ground crew scuttle away from the belly of your craft, then begin the stately taxi past open hangar doors and radio towers to the strip (closely followed by your wingmate, if you’re playing co-op), hit the throttle, pull the nose up and let the base dwindle to an ant-farm between your exhaust trails. Such sequences are also there for the sake of challenge, of course – landing on an aircraft carrier in the dead of night, with AA fire ringing in your ears and half your hull integrity gone, will test the mettle of even the most hardened pilot. But the overarching aim is to suggest to the player that there’s more going on down there than some solid but undazzling texture work, and thus to give the tailing, nailing and so on a palpable context. The Enhanced Reality System flight aids are back, but get much less of a billing. It’s a step up from the previous game’s opportunity to play chicken with Christ the Redeemer, then, but will it be enough to see off the familiarity of combat itself? While Douglas declared that getting away from the ‘fire and forget’ mentality of elder arcade fliers was a priority, two of the campaign missions we played were pretty orthodox. Lock-ons were acquired, missiles loosed, targets led, Top Gun quotes dutifully dropped. The full game is said to offer much more variety, though. Unmanned Aerial Vehicle missions (of which Douglas seems particularly fond) involve carefully tracking and marking targets, rather than blitzing them. The new precision bomb, manually aimed from a camera beneath your plane, is good for some testing bouts of ‘whack the terrorist’ over dense urban maps, with civilian death a distinct possibility. We’d be lying if we said HAWX 2 ranked highly on our incoming list, having thrown up our hands petulantly at the original, but Ubisoft Romania does seem to have identified one of the principal reasons the air combat game has yet to escape its niche. The question now is whether the developer’s attempts at redress amount to more than just some high resolution stretches of runway tarmac. Euros will find out on 3rd September. North Americans get their shot on 7th September. The game’s coming to Wii, PS3, Xbox 360 and PC. 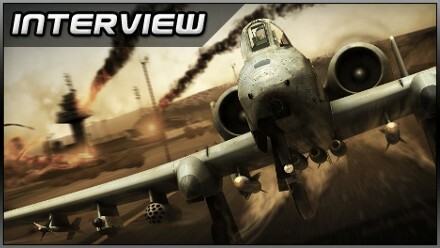 Posted in Interviews, and tagged with 2010, flight sim, shooter, Ubisoft.